Mortgage applications rose 25% last week as purchases rose 27%% and refis rose 24%. That is a surprising result given the Bankrate 30 year fixed rate mortgage rose 5 basis points last week. Some think that it was partly TRID-driven. Janet Yellen’s intention to let the labor market run hot for a few years has some Fed watchers worried. The criticisms range from fears about creating another 1970s – style inflationary environment to worries about the Fed’s credibility. We are in uncharted territory with the amount of control central banks worldwide are exercising over the economy. FWIW, I do not see much in the way of similarities between the 1970s and today: capacity utilization is low, and the chance of an oil shock is pretty remote. In fact we have the exact opposite situation. The inflation hawks make the case that monetary policy acts with such a lag that the die may already be cast for higher inflation (a similar argument that some of the global warming alarmists make with respect to CO2 in the atmosphere) The other point is more valid: the evidence that the Fed can influence wages and labor force participation is weak and the Fed is setting up unrealistic expectations that could damage its credibility down the road. Of course the other unintended consequence of ZIRP is the pressure it puts on pension funds. That probably is going to be the next crisis. We saw this movie before, in the 1950s. 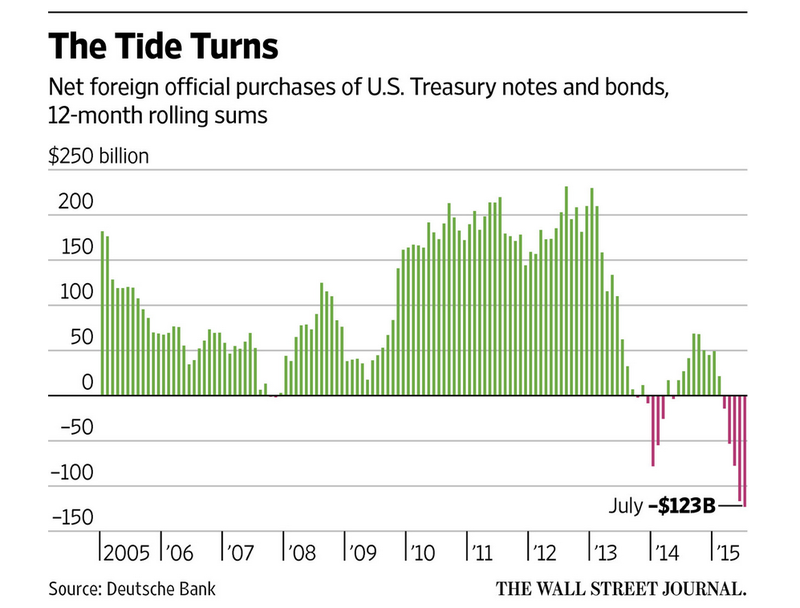 As we contemplate higher interest rates, foreigners are selling US Treasuries. While economic fundamentals will ultimately matter more than foreign fund flows, but it looks like foreign investors are cutting exposure ahead of higher rates. It probably will affect volatility, as primary dealers have pulled back market-making activity and Treasury markets have become less liquid in general. Now that house prices are approaching the 2006 peaks, some are arguing that we are in another bubble. Affordability is down as wages have gone nowhere, and scarcity is driving up prices. FWIW, bubbles are psychological phenomenons – the occur when buyers (and lenders) believe an asset is special and cannot go anywhere but up. We won’t see another housing bubble in the US, but our grandkids might. Interesting exchange involving the most hated man in the Senate. An institution another Senator said doesn’t do anything. Trump is dead to me. yeah, i can’t even muster up a good spite vote after that.